Hi there! Have a special event coming up? Wanna have legs to show off in the summer time?? No matter what the reason – if you want the lean out your legs – here are three of my favorite moves to do just that! 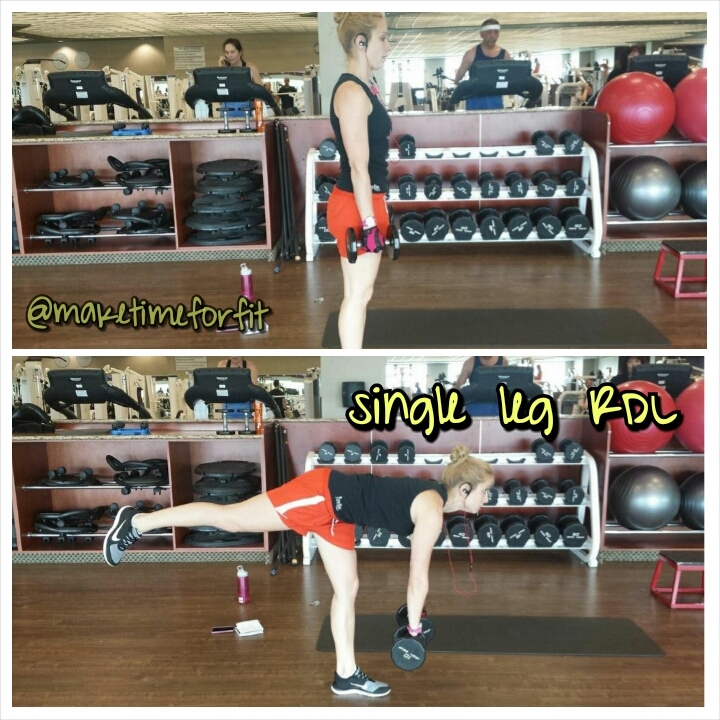 Try these in a circuit 12x each (each leg on RDLs and lunges) and followed by 50 jumping jacks. Try to that 3-5 rounds! **Maketimeforfit assuming no responsibility for injury prior, during or after workout moves. Only exercise if you are in good physical shape and approved by a doctor. Living a healthy lifestyle takes a little planning, time and preparation. 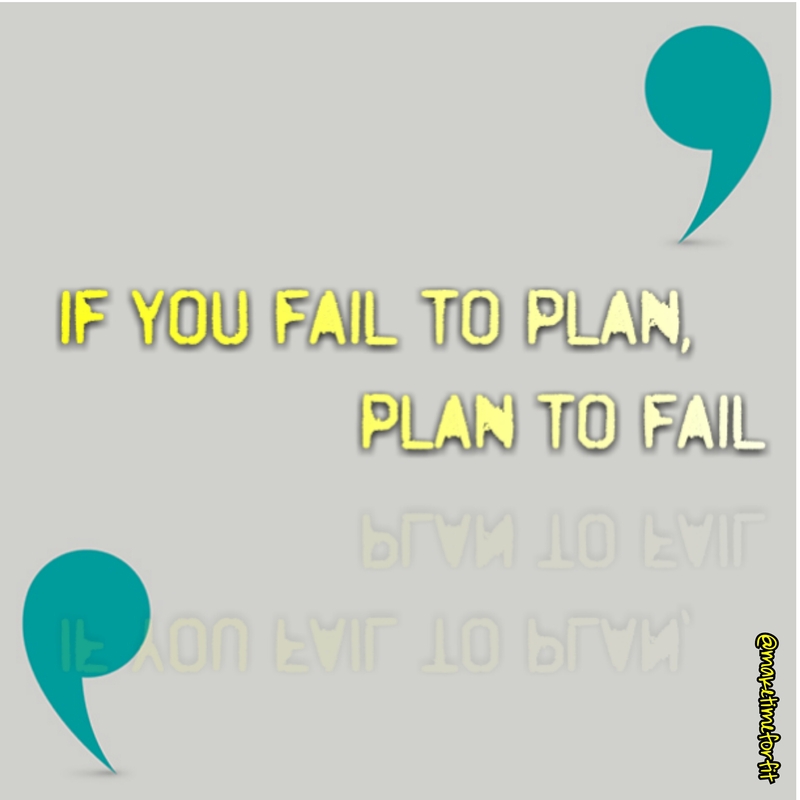 In the super fast paced world we live in everything is thing “go go go” and planning takes a back seat. Some simple tips that can help you continue to ready healthy on the go! When you do have time to cook dinner, cook enough for 2 extra meals. It’s just as easy to make a piece of grilled chicken as it is to make 4. Have things you like in the house as ready go-to’s. For me I like string cheese, clementines, bananas, grapes, edamame, fresh spinach and hard boiled eggs. If you pack a lunch or dinner the night before you can just grab and go. Way easier than frantically putting things together lat minute. When you store your left overs store them in meals. Don’t put all the chicken breats together, but rather the chicken, edamame and rice. Again making it easier on yourself in the long run. Here’s a really easy and healthy lunch (or dinner) that takes barely any time to make! Since avocado is fatty and creamy it can easily be substituted for mayo! 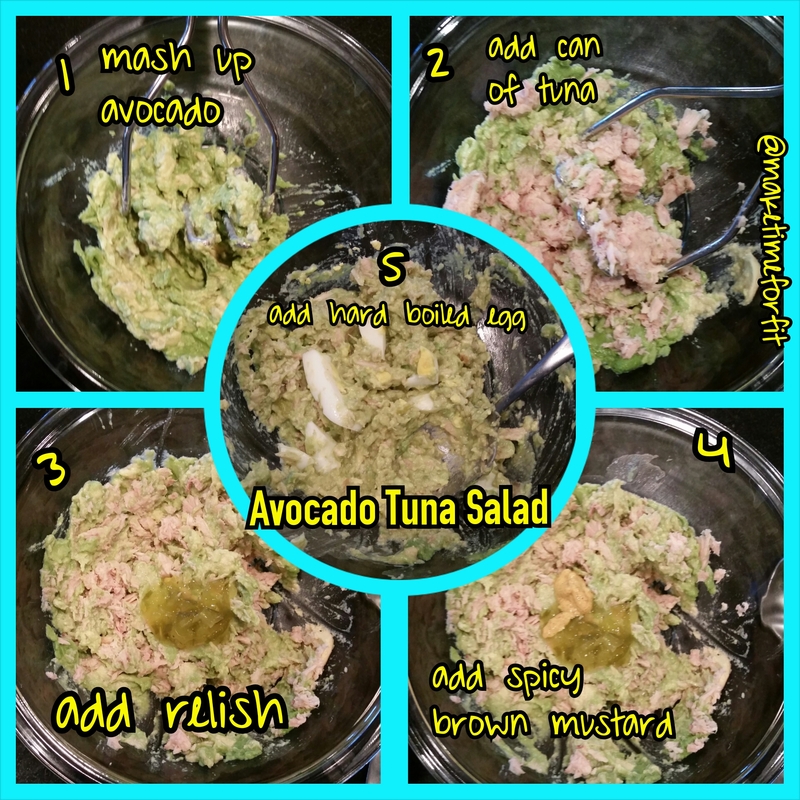 Whether it’s tuna salad, chicken salad, or potato salad you basically have free range, but here is what I used. Viola! Easy as that! Put it on a piece of bread for an open faced sandwich! NEWS FLASH: It’s OK to indulge! 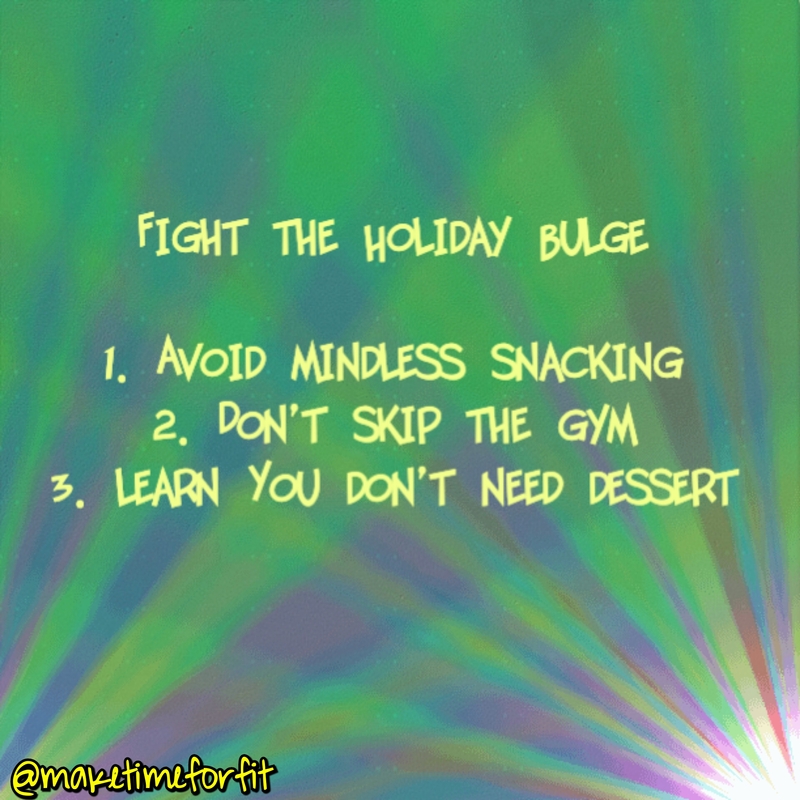 Have dessert – just not all of the dessert! When you make any meal yourself, you can be sure of the ingredients that you are putting into your body, same goes for dessert! I made these brownies and they were super easy and delicious! Remember living a healthy lifestyle doesn’t have to boring and plain! Learn to make your food and desserts! Now just dont go and eat the entire pan! For this recipe click here and follow @sallysbakeblog on instagram for lots of recipes and tips! I saw this recipe on some cooking show and decided to give a try with a few healthy modifiers! It turned out to be super easy and delicious! Place 2 pieces of thawed cod on a pan with foil; season with olive oil, lemon juice, lime juice, salt and pepper. In a food processor or blender – add tomatoes, onion, little olive oil, garlic, pepper of choice, chopped cilantro, salt, pepper, lime juice and lemon juice. MIX – once mixed add corn stir. ********You could substitute this ENTIRE step and use your favorite salsa! 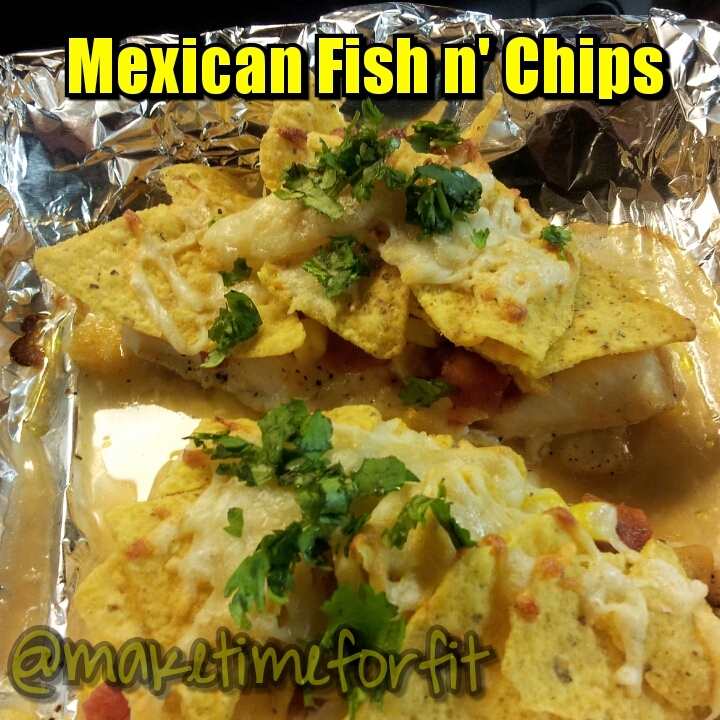 After 25 minutes remove cod from oven and top with salsa mixture or your favorite kind of salsa. Put back into oven for 6-8 minutes until the cheese is melted chips are browned on corners. This is filling enough as is but if you want a side try eating this with brown rice with black beans!